Nothing beats a week at a luxury hotel (apart from, perhaps, two weeks). However, traditional luxury hotels can become a little... well, samey, can't they? (Talk about first world problems!). Thankfully, and we can say this with confidence, unless you are a Varanidae Lizard (and, by reading this page, we assume you are not), there is nothing samey about staying on the River Kwai Jungle Rafts! Because this eco-friendly floating bamboo lodge doesn’t mean you have to give up luxury – you can still enjoy all the comfort of a classy hotel, just a little differently. It's called a 'Floatel'.... get it? 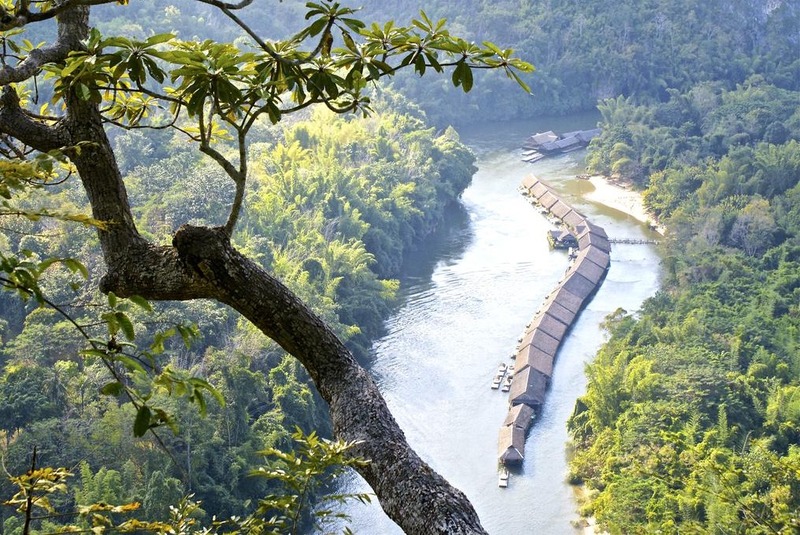 Why stay on the River Kwai Jungle Rafts? 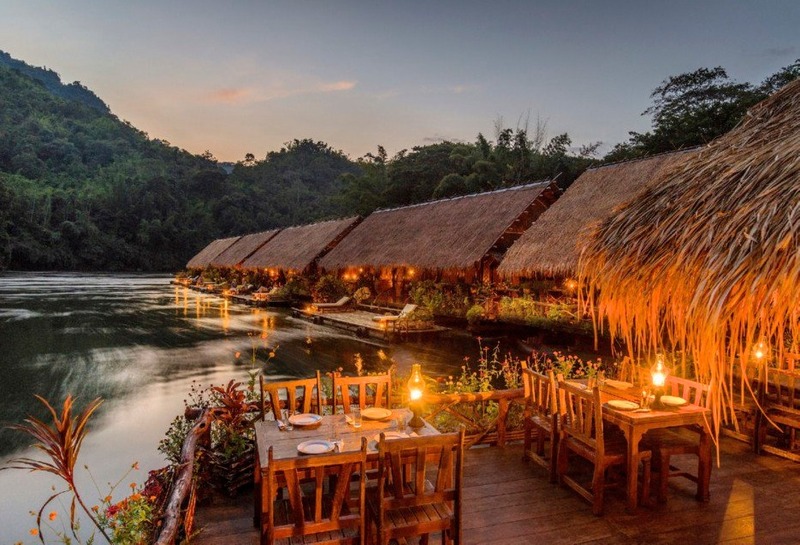 Moored along the historic River Kwai Noi in Thailand, the River Kwai Jungle Rafts is a hotel with an abundance of character. With a room that includes an en-suite private bathroom, balcony and a hammock, you can wake refreshed to the surrounds of lush jungle and unspoiled nature. And staying in the spirit of luxury, you'll be pleased to know that when it comes to dining, the law of the jungle does not apply - you don’t actually need to hunt and kill what you eat. 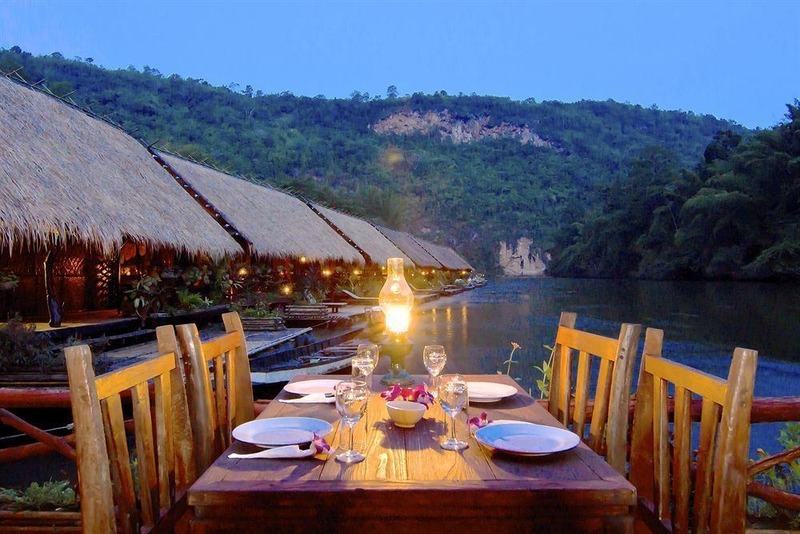 Instead, you can dine on Thai cuisine and local Mon dishes in the floating raft restaurant, watching the river flow by as you polish off another bottle of wine (and, if you fall into said river as you tipsily stumble back to your room, there are probably people to help fish you out). Meanwhile, you can also enjoy the fact that your 'Floatel (don't you just love that word?) experience doesn’t damage the environment, as the River Kwai Jungle Rafts use traditional kerosene lamps instead of electricity and septic tanks to ensure that no… stuff… gets dumped into the historic river. We’ll end on that.